English: Blue-winged yellow warbler; French: Paruline a ailes bleues; German: Blauflugel-Waldsanger; Spanish: Reinita Aliazul. 4.5-5 in (11.4-12.7 cm). Golden head with a black eye stripe, golden underside, darker back, blue-gray tail and wings, and two white wing bars. Males and females have similar appearance. 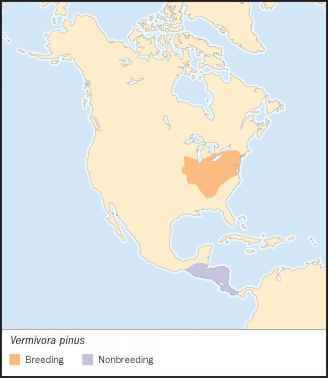 Breeds in northern United States, winters from Mexico to Panama in Central America. Moves rather deliberately through trees, sometimes hanging upside-down from branches. Often pauses for lengths of time on favorite perches. 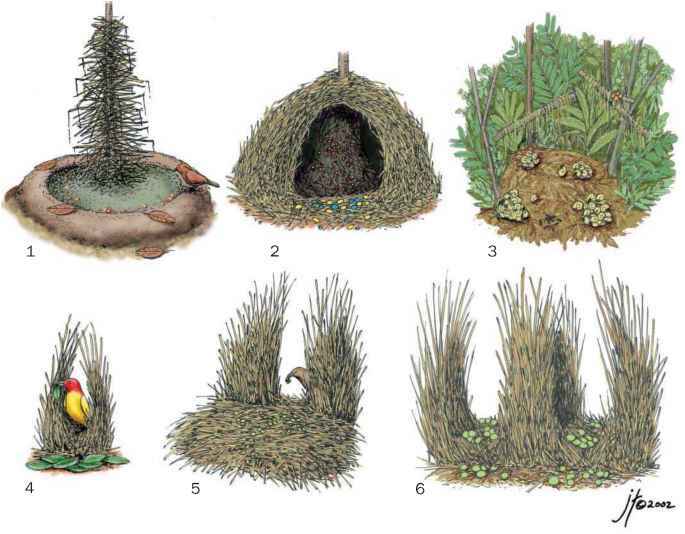 Breeds in low bushes, building cup-shaped nests on or close to the ground. Average clutch is four to seven finely speckled eggs that hatch in less than two weeks. Sometimes occurs side by side with golden-winged warblers, and the two produce viable hybrid offspring, known by the common names of Brew-ster's and Lawrence's warblers. Not threatened. Appears to be replacing golden-winged warblers in areas where they overlap.